Dawn is born in a far northeastern region of Eurasia - Chukotka. Our journey starts from the very heart of Chukotka – it’s administrative centre Anadyr. Moving along the northeastern part of Eurasia, we will explore the unique region of Chukotka, where time seems to have stopped. Then going through the Bering Strait we will cross the Arctic polar circle. 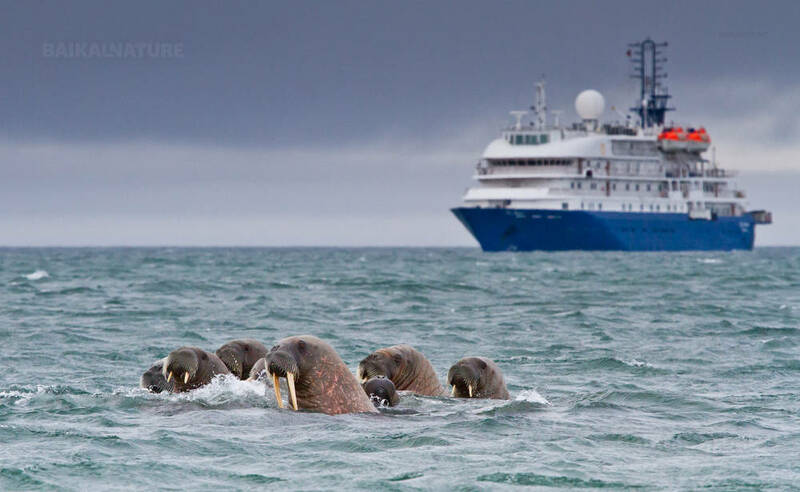 As the ship enters the waters of the Arctic Ocean we will reach the famous natural reserve of Wrangel Island. 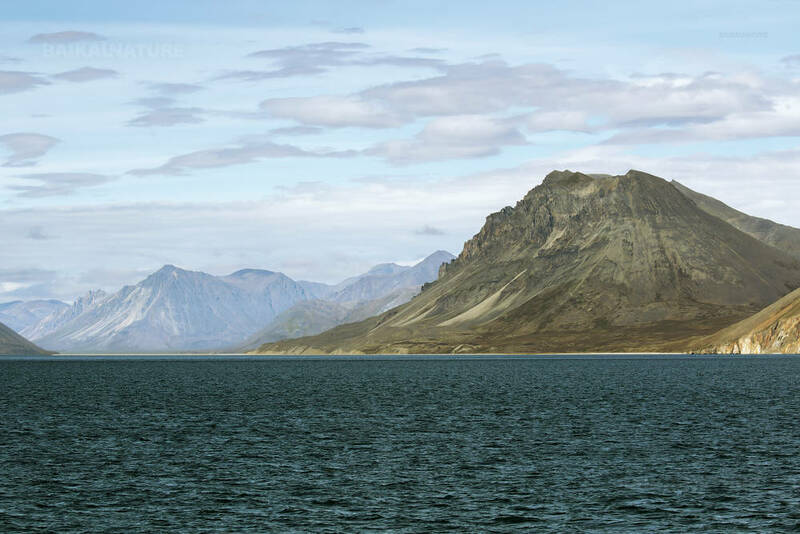 Wrangel Island is a true museum of arctic flora and fauna. 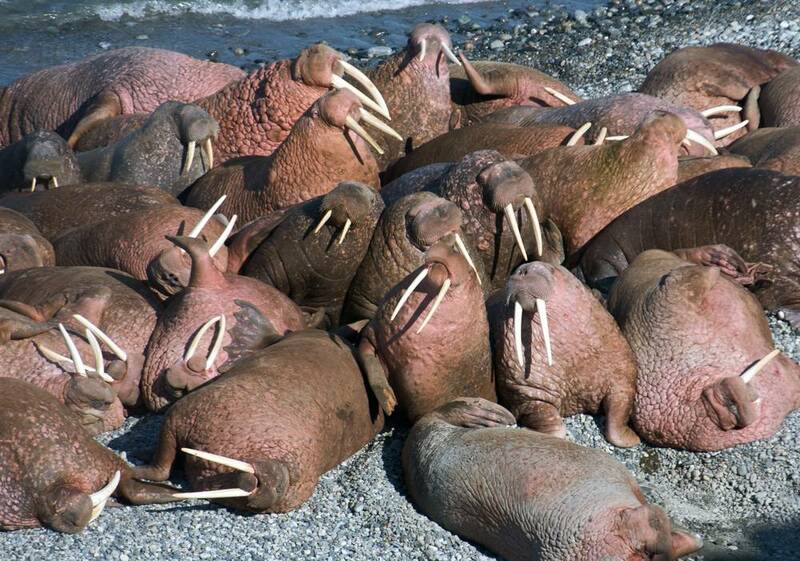 There are many times when it is possible for you to see walruses during this trip. Besides, Wrangel Island is a favorite "maternity house" for polar bears. This brings us a chance to see small white bears.Our way goes through the places where whales feed themselves and thousands of birds gather in colonies. Wrangel Island is the place where arctic flora is most diverse. It has the richest multitude of "cold-resistant" plants. 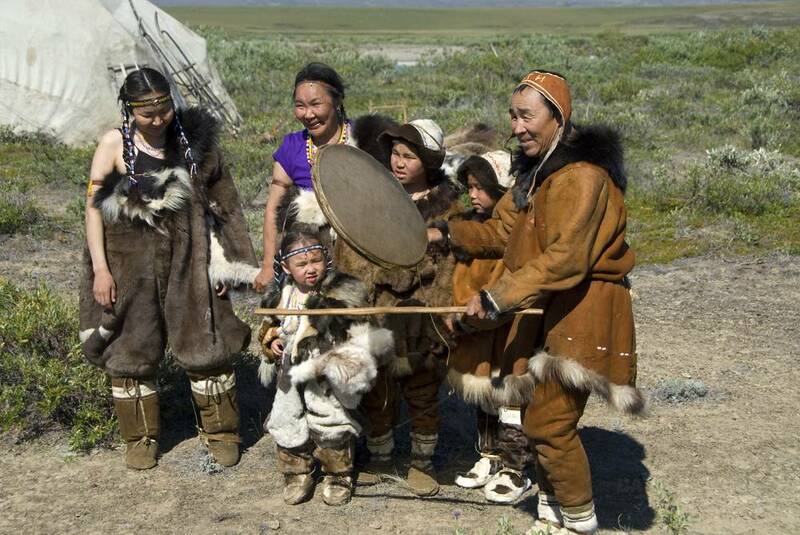 Furthermore you will get acquainted with the culture of local people and make your way through the legendary Bering Strait. The cruise is held on board of the ship "Spirit of Enderby"
Technical description: year built - 1984, length - 71,6 m, width - 12,8 m, maximum speed - 12 knots (2 engines), cabins - 28, accommodation - 50 berths expedition. 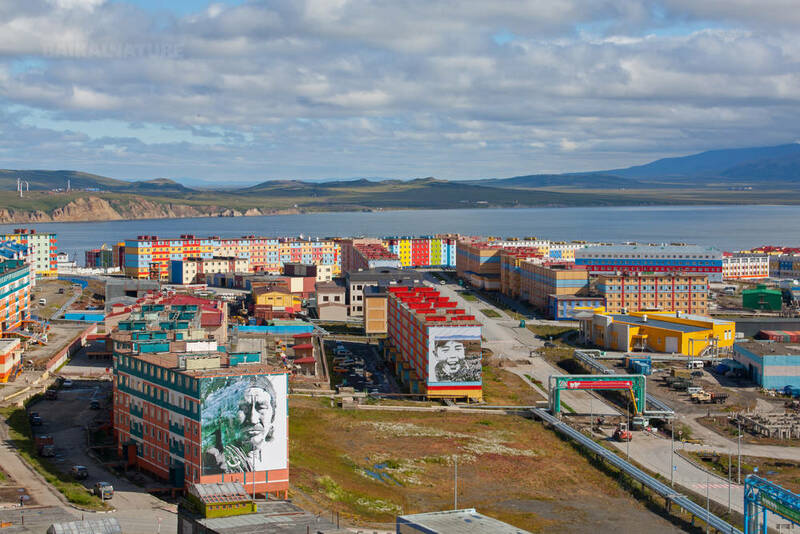 All expedition members arrive in Anadyr, the administrative centre of Chukotka. 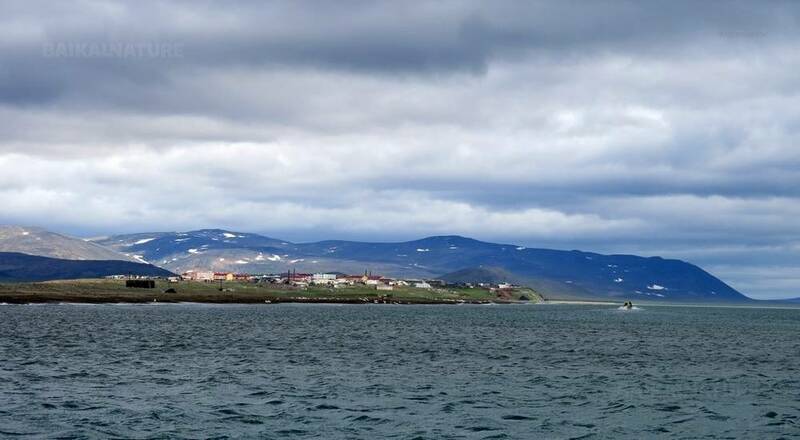 Depending on your time of arrival you may have the opportunity to explore Anadyr before boarding on the vessel. After our accommodation, we will be proposed to get to know with the crew and to know more about our voyage (safety instructions, cruise details and information about landings on Zodiac boats. This small town was built by Gulag prisoners as a port to supply the rich Lul’tin mining complex some 200 km inland, they were then forced to construct a road to the mine. We explore the town which has an excellent museum. We travel by off-road truck Ural to explore the road and go into the tundra to appreciate unique Arctic landscape close to the Arctic Circle. We will visit the place where where the Polar circle and the 180th meridian "meet each other". There is an imaginary line that divides two hemispheres of Earth. On the way from Egvekinot to Kresta Bay there is the small reindeer herding village of Konergino. 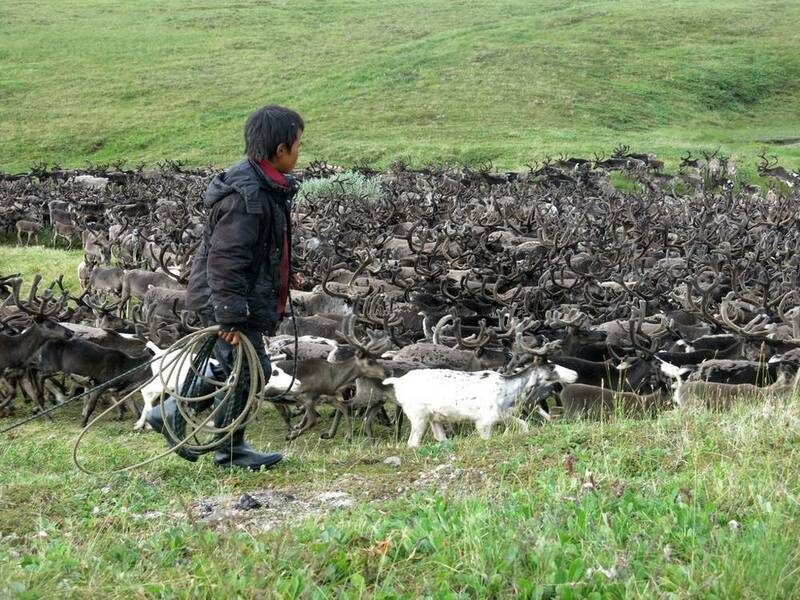 Reindeer herding continues to be an important part of the culture and economy in life of indigenous people. The practice has remained unchanged over the centuries and revolves around ‘brigades’ looking after large herds of reindeer out in the tundra. Today is an introduction to this practice and an opportunity to understand the industry. This day we will take a cruise on “Zodiac” ship along the south coast of Chukotka with the opportunity to stop at Presbrazhenya Bay. 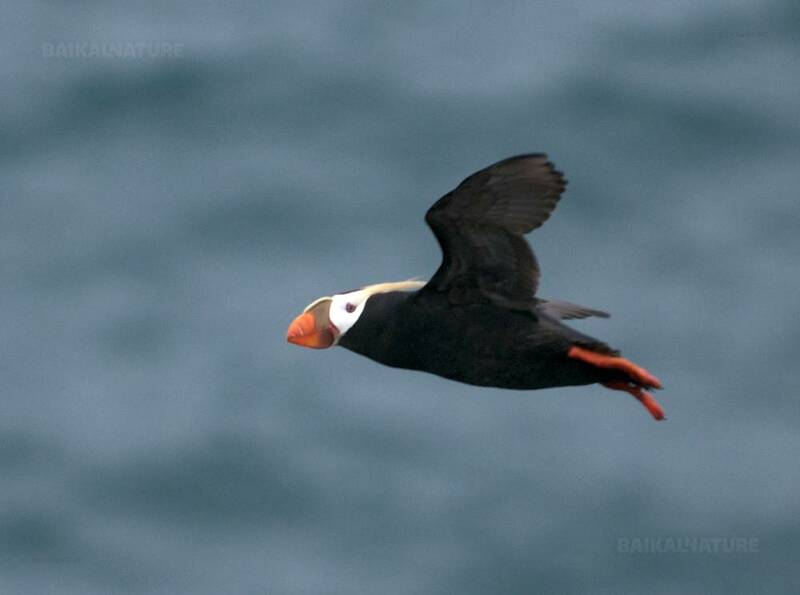 We will pass by the spectacular bird cliffs which provide great photographic opportunities. There will also be a chance to land at a hunting camp in the village close to the Nunligren. The significant and intriguing archaeological site of ‘Whale Bone Alley’ on Yttygran Island dates back to the 14th century. Its origins and purpose have been the cause of much debate. 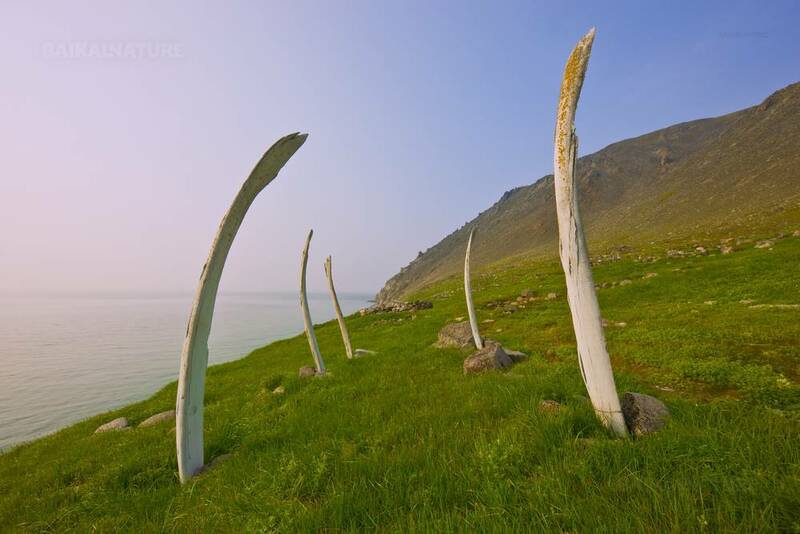 Whalebones stretch along the beach in the form of a pathway for nearly half a kilometre and Gray Whales are frequently seen in the vicinity. This afternoon we intend to make a landing at the Gil’mimyl Hot Springs. We’ll sail in the Bering Strait. There is a possibility to watch white whales. Here Russia and USA is separated by only 100 km. If the weather is favorable, we will land near the the Cape Dezhnyov, that is the most north-east point of the Eurasia. 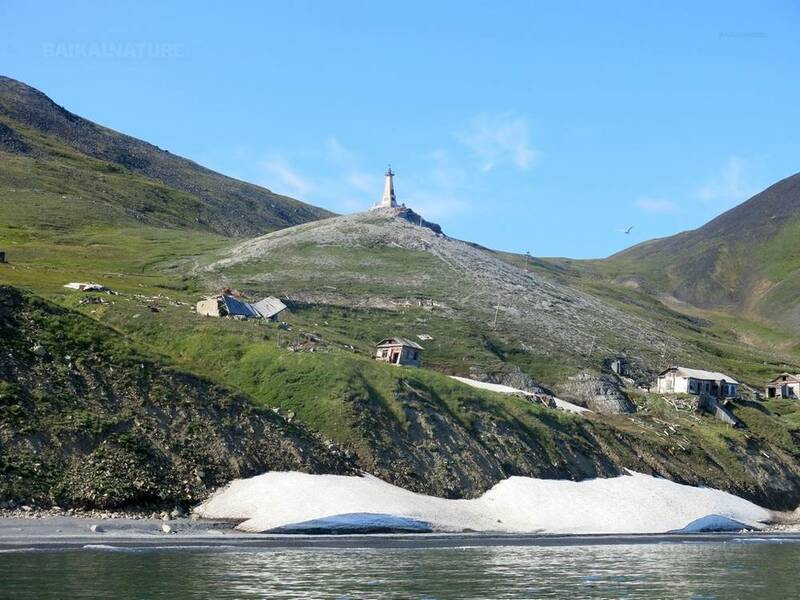 On this cape (so called ‘’Great Nose of the Chukotka’’), there is an abandoned polar station. We will visit an abandoned village – Naukan, that was populated with innus. The people of the village were relocated, as then the government believed that the war was coming because of the nearness of the USA. 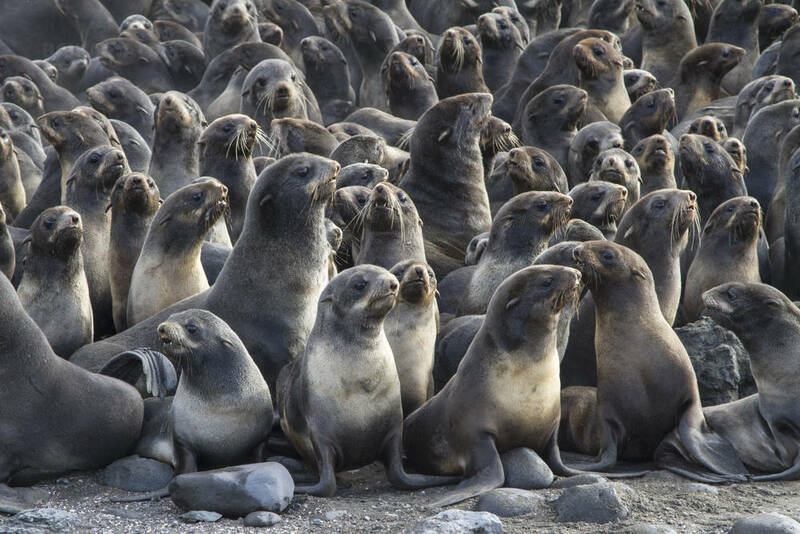 Relax as we navigate towards Wrangel Island. On board you can listen to lectures about history, reclaiming of the territory and the main inhabitant of the island - nears. Due to climate changes in recent years Wrangel Island is becoming ice free earlier and earlier. That fact leads to huge ramifications for the wildlife (especially the Polar bears, who’s life depends of ice conditions). If the ice conditions are appropriate we will watch wildlife concentrated around the island. 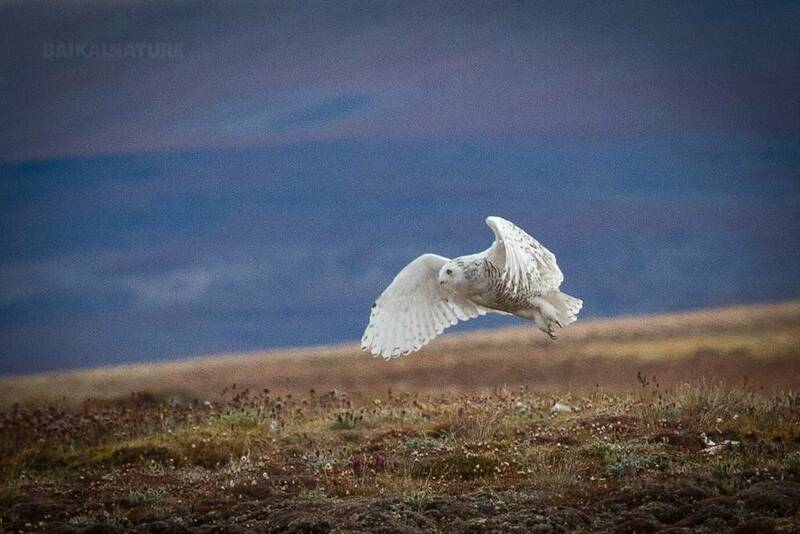 There might also be an opportunity to land and explore the species which breed in tundra. We have also put three days in reserve to walk around the island and take advantage of conditions we encounter. We will be using the local knowledge of the Park Rangers to make multiple landings as well as spending some time ice cruising looking for Polar Bears. *If the weather is good, landing on the coast. Today we can continue our discovery of the island. We have provided 2.5 days for this visit for enough time for exloring the nature and fauna of the island. It's possible to see the wild animals. Today you can listen to the lecture about an interesting festival Beringuia - festival of sea hunters. This morning we put an anchor at tiny Kolyuchin Island, at certain times of the year when the ice recedes large numbers of walrus haul out on the island. At the western part of the island we can find the remains that were left from the Polar Research Station abandoned in the 1990s. 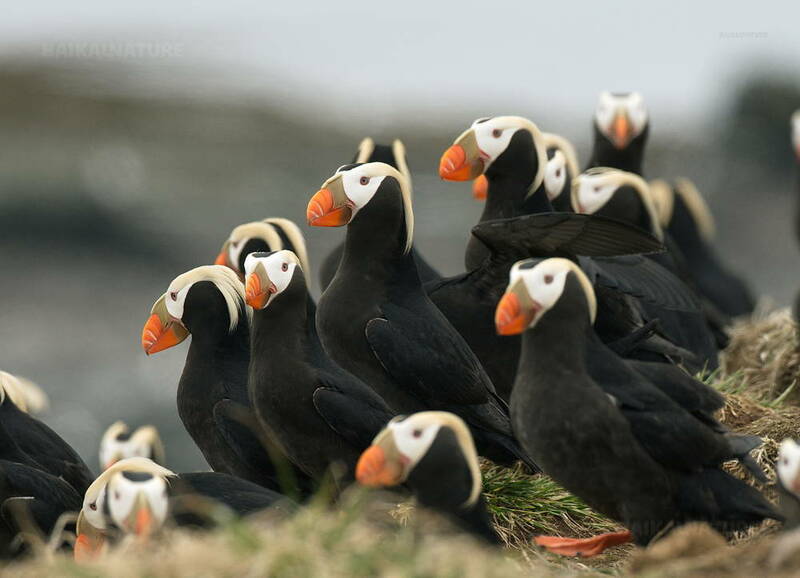 Nearby it is possible to get photographs of magnificent views with puffins and guillemots as they come and go from their nests in bird cliffs. The only ones to stop us from landing are Polar bears in case they are bieng ashore. This afternoon we will take a cruise to nearby Kolyuchin Inlet - a massive tidal estuary and an ideal habitat for many bird species. It is an easy landing with lots of opportunities for hiking, exploration and photography. Today we will visit the opening of the festival and of an annual regatta Berenguia. The regatta is a race on leather covered kayaks «barid». Also there is a folklore concert. This festival is one of the most colorful and bright and attracts a lot of villages. The place of this festival changes every year and we will visit it in the Lavrentiya village. You can not only see, but also take part in some events. There is a rich entertaining programme – fair of arts and crafts, folklore concert and competitions. The price is given for the Standard Twin Cabin / for 1 person with simple comfort accommodation, toilet and shower outdoors.The cabin has one bunk (one upper and one lower) and one lower berth, wardrobe, drawers, a desk and wash basin. Port charges - 500 $. To book the others categories, the following supplement is applied: + 1 500 $ for the Superior Cabin (bunks (an upper and lower berth), wardrobe, drawers, a desk, a private bathroom with shower, toilet and washbasin. These cabins have windows. + 2 500 $ for the Superior Plus Cabin (two lower berths, wardrobe, drawers, desk, a private bathroom with shower, toilet and washbasin. These cabins have windows. + 3 000 $ for the Mini Suite Cabin (a separate bedroom with a double bed and a single bed or a sofa in the lounge, wardrobe, drawers, a desk and a private bathroom with shower, toilet and washbasin). The Mini Suites have windows. + 3 600 $ for the Capitan Luxe Deck (a large lounge area, a separate bedroom with double bed, a single bed in the lounge, writing desk, wardrobe, drawers). There is a private bathroom with shower, toilet and washbasin. There are large forward and side facing windows to allow great views.